When you've got bleached hair that faces the straighteners or curlers most days you're not giving it the best chance to grow. I've got my favourite intensive conditioner (Lee Stafford Hair Growth Treatment has been my holy grail for years) but I've never really used a shampoo and conditioner combo that's dedicated to long hair, as such. 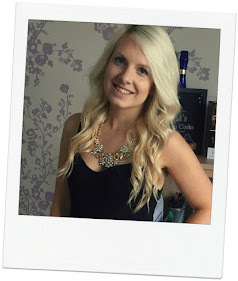 Most of my shampoos and conditioners are for blonde hair, or dry hair so when L'Oreal Elvive introduced their Dream Lengths Restoring Shampoo and Dream Lengths Detangling Conditioner my inner Repunzel was keen to get in on the action. Starting off with the Dream Lengths Restoring Shampoo the first thing I noticed when I flipped open the lid was the fruity, cocktail scent. That peachy, mango-like fragrance was noticeable on my hair too after I'd washed away the bubbles. The shampoo is quite thick and creamy which lathers up well, for me that always makes me feel like my hair is being properly cleaned. When it's washed out there's no silicone like texture left behind nor does my hair feel dry or tangled which is a good sign. One of the biggest signs of whether a shampoo is worth using is if I have to wash my hair more because it gets oily or greasy and thankfully Dream Lengths has meant I can continue to go 2,3 or 4 days between washes (and a drop of dry shampoo to help). As for the Dream Lengths Detangling Conditioner it smells as delicious as the shampoo and is nice and creamy too. A little bit goes a long way and it really does soften up my hair and detangle the lengths. There's no drastic improvements but I'd say it makes my hair feel as soft and healthy as when I use more intensive masks or conditioners so that's something to be impressed by.